Hi all, here's our second shower gel from our fruity gel series. 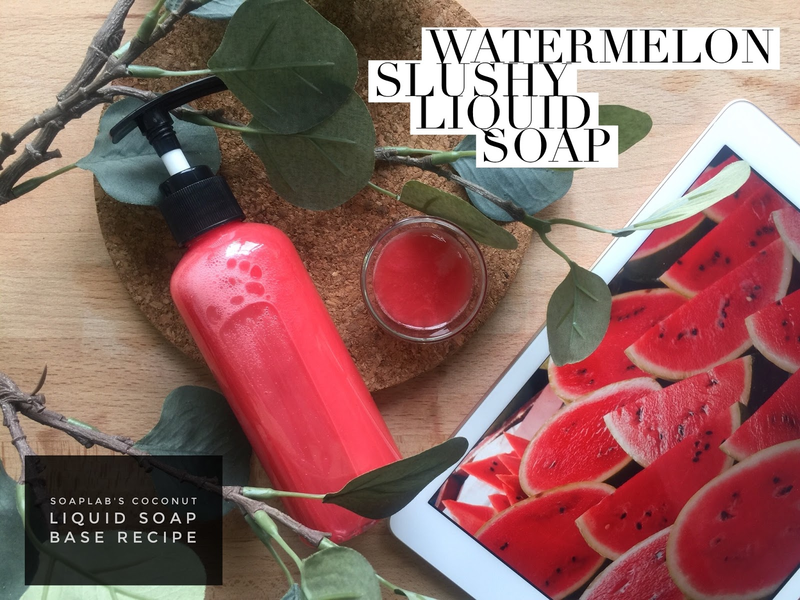 This round we were inspired to do a pink watermelon soap after one of our colleague brought in an entire watermelon to the office. So we begin with our usual SoapLab liquid base and then add in some Vitamin E.
This is to protect your skin from fine lines and wrinkles so that you'll look radiant and young. Always remember that even if this is time to cleanse, extra nourishment must not be forgotten. Next we use pink watermelon fragrance which will make you dream of some watermelon sorbet when you use it. And finally, to get the color so that it all comes together, we use a dash of Systar Red. Have fun!